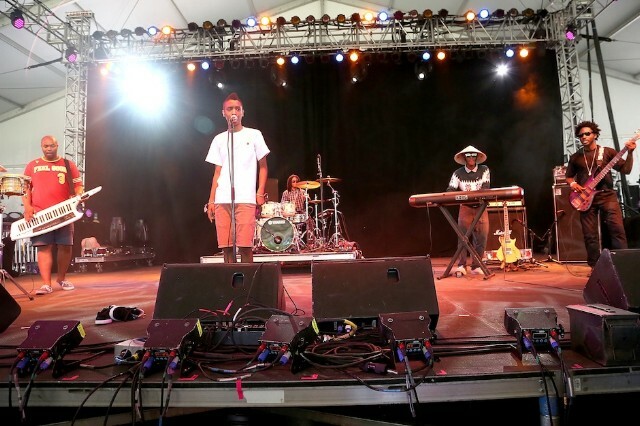 Odd Future-affiliated R&B band the Internet has announced their return. The Syd tha Kyd-fronted act will release their latest LP Ego Death on June 30, and it boasts a pretty hefty set of features. Longtime friend Tyler, the Creator turns up on the album’s final track “Palace/Curse.” Janelle Monae offers a guest turn earlier on “Gabby.” Vic Mensa, James Fauntleroy, and Kaytranada also make appearances. The group is also streaming the silky “Strange Affair” over at their website, so be sure to check that out there, or snag it with a pre-order of the whole thing on iTunes.